Halloween is fast approaching and so is this winter weather…brrrr. These last few weeks we have had to wrap up warm. But that certainly hasn’t stopped us from heading out to the farms to pick this years winning pumpkin. With a few days still left to think about how we would like to carve our pumpkins this year, we thought it might be nice to offer a few of our favourite comforting Halloween food recipes instead. If you are having a little Halloween gathering, these foodie favourites shall certainly warm the spirits. There is nothing better than a bowl of warm, comforting Halloween inspired soup for the starter. Particularly Jamie Oliver’s pumpkin and ginger soup. Making soup is quick, easy and would look absolutely smashing served in a mini pumpkin. Cut off the pumpkin lid, scoop out the filling and keep it for the soup. 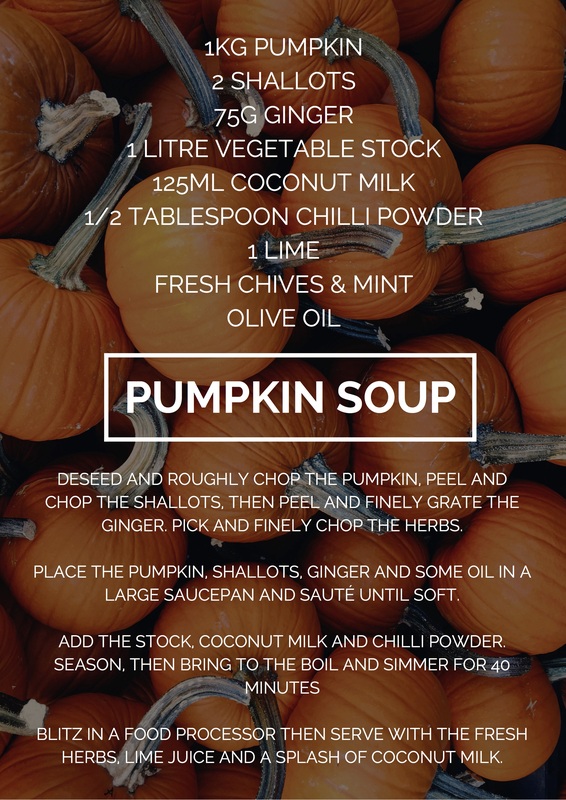 When the soup is ready, ladle it into the pumpkin and pop the lid back on to keep it beautifully hot. Comforting Halloween food is an absolute must for the main course. You certainly want to keep warm in between the trick or treat shifts. 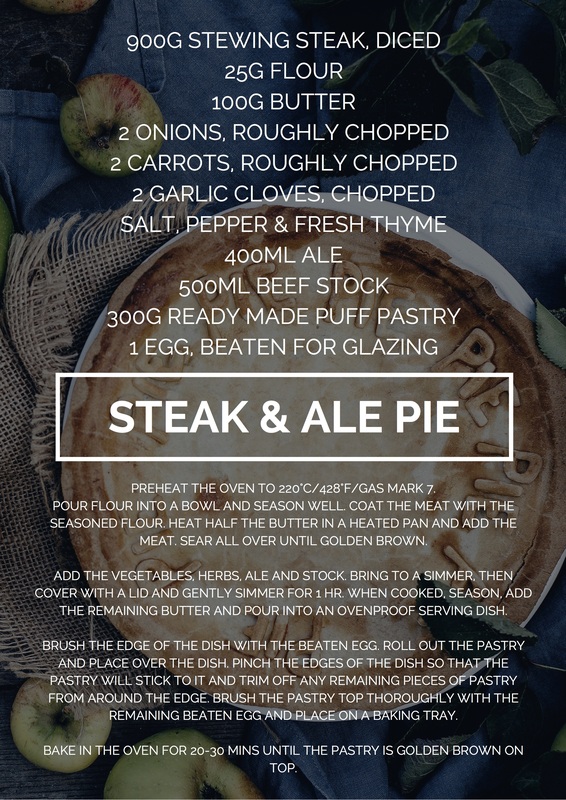 You can’t go wrong with a hairy bikers steak and ale pie. However by cooking a puff pastry lid separately, you could add in a couple of plastic spider before topping with the pastry lid. It might give your guests a fright, but would be certain to keep them entertained! A fantastic favourite from BBC Good Food, this will be sure keep the adults relaxed, leaving the kids to run wild after snacking on all of those sweets. 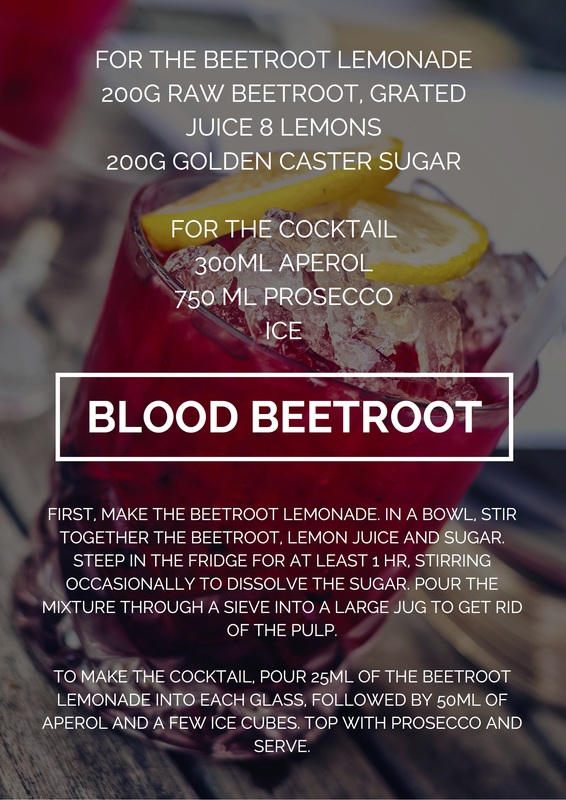 Just be careful to avoid any of those beetroot stains. Otherwise you may look like you have turned up in costume after all. If you have recently visited our London showroom, or follow us on Instagram you may have noticed that we have a brand new white console table. A console table that is set and ready for comforting Halloween food for 8 people! 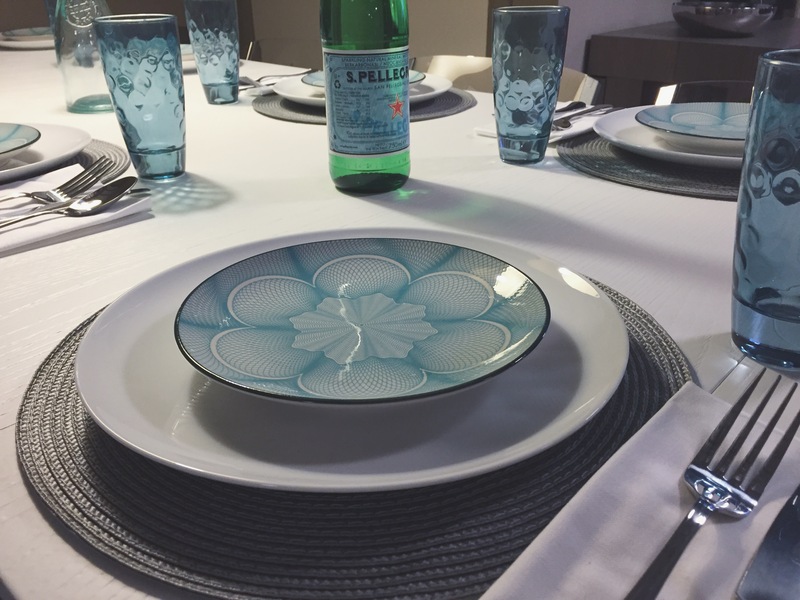 Yes it really does start as a console table and turn into a 10-seater dining table. Come and see for yourself! Next Next post: 3 amazing bedroom colour schemes – which one would you choose?